Lovers in Paris (2004) Review ~ Revisiting the Classics: Its Legacy. Hello. This is a Korean in America. Today, I’ll be covering a classic Korea drama, “Lovers in Paris”, which I would have to say led the way into the mid-2000s Korean drama renaissance. The show, Lovers in Paris, is very influential in history of Korean dramas. While it may not been the first in any specific area, it was the show that popularized many of the modern Korean drama tropes that are still in use. In addition, it could be said to represent the peak of the “Trendy” genre shows in Korean dramas. While it had semi-sequels such as “Lovers in Prague” and simply “Lovers” which came out one year apart of each other, theses sequels continuously drifted away from the defining characteristics of the “Trendy” genre. If I was to briefly describe Lovers in Paris, it is the quintessential Korean version of the Cinderella story. You have a female lead who is poor but feisty and energetic. You have a rather stoic but, at the same time, rather bored rich male lead. 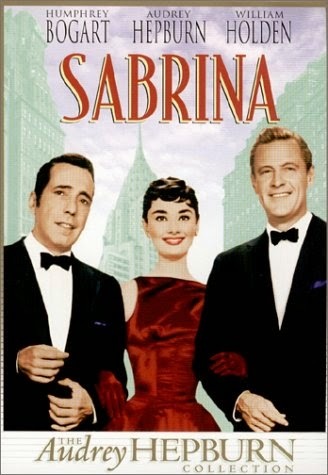 Imagine the setup of “Sabrina” (1954) but the “Audrey Hepburn” character is grungier. The two meet overseas in Paris. And appropriately for Cinderella story, the female lead starts working as the male lead’s maid. There is also a third male lead who seems to be at a similar social status as the female lead who bumps into the female lead on the streets of Paris. But this is Korea dramas. Nothing is what it seems to the female lead! This completes the love triangle. After a few episodes, the shows moves back to Korean since the budget is running out. In addition, the families that basically create all the tension is back in Korea. The show runs its course on the basis of the whole “will they or won’t they” tension. And the ending is… rather controversial. Korean dramas had developed through the past 20 years or so to come to the current state that they are in. In a way, the modern start of Korean dramas can be traced back to “Sandglass” (1995) which was the first “National” TV phenomenon in Korea. It was the “Roots” (1977) for Koreans at the time. It showed what the miniseries format could do working with the epic historical period drama genre. It was also a show that was all premade before release. From the confidence created by the success of Sandglass (1995), Korean dramas surged forward. However, even before Sandglass (1995), there were the early “Trendy” genre shows that pioneered the miniseries format such as “Pilot” (1993). “Pilot” (1993) was just a small romance story about a pilot and a stewardess. It was not a great show on its own but was propelled to a hit by the newly emerged 20 somethings audience. Before the 90s, Korean dramas were mostly either historical dramas or family dramas. The reasons for this could be traced back to the military dictatorship regime who basically run the country on an anti-communism and a Korean strain of the “family” values platform. With the fall of the military dictatorship regime, the younger 20 somethings of Korea were developing as a major economic force in Korea and a more youth oriented subculture started to become prominent in Korea. The miniseries format was developed to get away from those old genres and represent the new generation. The new shows, that used the miniseries format, mostly fell into the “Trendy” genre. In this context, “Trendy” meant the lives of mid-20 somethings trying to find their place in life and ultimately find love. You know the 70s and early 80s U.S. stuff! This was something new. It was showing off the confidence of this newly empowered generation. In the “Trendy” genre shows of the time, the focus was on the 20 somethings with the families playing marginal roles. Prior to this, the family and family related issues were driving forces in Korean dramas. In a way, Korea dramas have done a 180 degree turn nowadays. Most of the current Korean dramas are now back to being centered around families. So, it would have to be said that the “Trendy” genre is dead in Korea which could reflect the decline in confidence on the part of the youth in Korea. In a manner, “Lovers in Paris” was the peak of the “Trendy” genre and had signal the end of it too. The reason that “Lovers in Paris” is important is that it solidified the major tropes of the modern Korea drama. It was the show that really popularized the romance dynamic based on the works of Jane Austen. You know the dynamic of “Pride and Prejudice”. Prior to this show, the soft and romantic male lead archetype was the norm which had started with the Autumn Fairy Tale (2000). The sequels in the “Endless Love” series of shows solidified this archetype. With “Lovers in Paris”, the “Mr. Darcy” archetype became popular and is still with us to this day. It is an odd combination between chauvinism and romanticism. By doing this, “Lovers in Paris” also imprint, on the Korean public’s consciousness, the image of the Conglomerate heir as a prince charming. While there was the fantasy of marrying a rich 2nd or 3rd generation Conglomerate heir, it was not as prominent and far less “fairy taled” up to this point since the family dynamic played more of a role in the story. Also, it was still somewhat of a taboo to glamorize the Conglomerates. How things have changed! “Lovers in Paris” also introduced the concept of the love rectangle to the Korean drama although it was a love triangle story at its core. Its love triangle was between the two males and the youngish female lead. In addition to this triangle, the show had introduced a third wheel girl although she was barely used. I mean even less used than what we see now! Another thing that “Lovers in Paris” had a hand on was the “Makeover” cliché in Korea dramas. The 90s were great for the whole make over concept in the U.S. An example of movies with this is “Pretty Woman”(1990). This continued into the early 2000s with the “Princess Diaries “ (2001). However, the whole make over concept did not really come to Korea dramas until the “Lovers in Paris” although they were some less memorable attempts prior to it. The dress that the female lead wears in the show via a “Pretty woman” shopping scene was rather sensational in Korea at the time. A must in makeover movies and shows. With teen movies, this was converted into the coming down the stairs on prom night bit. But it is still the same at its core. For those who were introduced to Korea dramas via the 2010s’ shows, the earlier shows may feel father different. Todays’ shows try to go for the more claustrophobic editing style to shove more filler scenes into the air time to hide the fact that they simply do not have enough story. In the fact that there is not enough story, shows from the 2000s and 2010s are similar. However, the 2000s shows tend to be more comfortable with this fact. They had much longer scenes and less frantic dialogue delivery. This made the plot development seem more organic than recent Korean dramas in which you are forced to accept that the story is going in a certain direction. This also, to a degree, gave the actors much more to do in the scenes. As a result, the actors were more memorable. To some, this may make the shows feel slower. So, it was a good thing that “Lovers in Paris” was one of the earlier shows that brought the back ground music to the forefront. Now, the Korean drama feel like a silent movie with a band attached to it playing because the back ground music is so insidiously there. It was not the case for very early Korean dramas. “Pilot” (1993) was one of the shows that really used the theme song constantly during the show. And it was a hit selling a lot of tapes. No, you do not know what that is? “Lovers in Paris” is a great entry point into the Korean drama medium. If you are really into tear jerking melodramas, Autumn Fairy Tale (2000) may be a good point to come into the medium. However, if you are not, it may be too much for you. “Lovers in Paris” has a nice balance of melodrama and energy while not becoming a soap opera like most of the new shows. It was also the actress, Kim Jung-eun, biggest hit show of her career. While she still works, it is more like she is still milking the image of her created by this show. This was the same for the actor Park Shin-yang. You may have seen him in "Painter of the Wind". This is a great show at the time and, even rewatching it now, it still works although the ending is still rather controversial.